I heard the news while I was at a Newmarket mall. 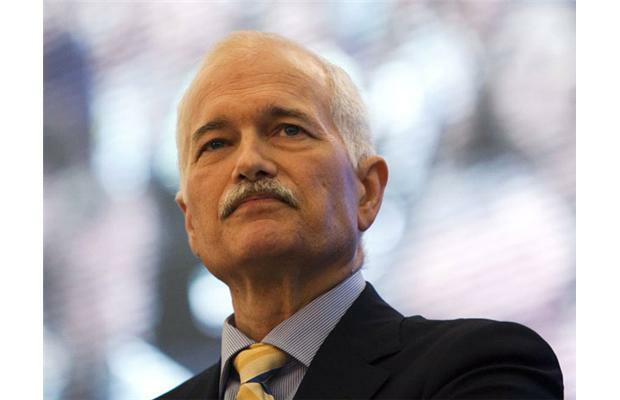 The message flashed before me; Jack Layton’s picture overhead. Some people had red faces; others looked upset. We knew the reality, yet no one wanted to believe it – Jack had passed. He was a people’s person who brought those with the smallest voice for their concerns to the forefront. He brought the NDP party to its strongest position ever in a way that united many parts of the country, and challenged the government’s point of view countless times. He rarely ever drove and took public transit. He connected with the public in a special way. He captured the hearts of Canadians to the envy of other leaders within the City of Toronto and Canada. But his biggest challenge was the battle for his life. final letter to the public has been read by scores of people across Canada, and the world. He charged Canadians to complete the work that he started – he instilled hope for the future. For the biggest battle, cane in hand, he lived with grace until the end. Michelle Rooplal has served as HSAL’s Office Manager for 10 years. With a background in human geography and sociology, Michelle has the experience needed to support both clients and staff on a wide range of projects. While away from work, she enjoys reading and spending time with family and friends. This entry was posted in Communications, Politics and tagged policy, politics, Toronto. Bookmark the permalink.